The Boot Scootin’ BBQ was graced with gorgeous skies, lovely weather, and a perfect backdrop, generously donated by Red Tail Farm, which made for a perfect evening to raise money and awareness for Mane Stream’s programs. 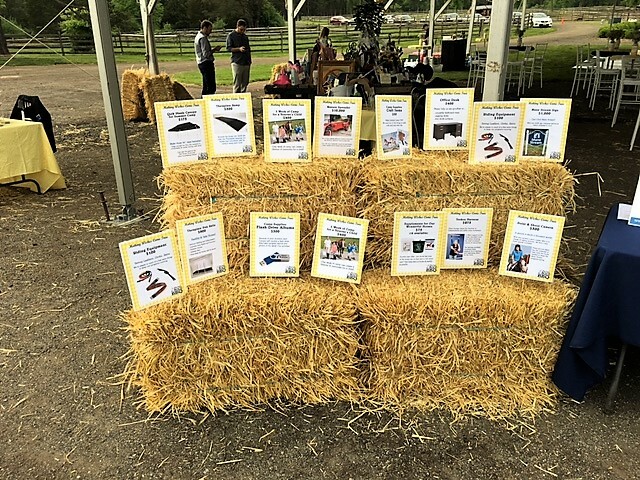 This charming country event with great food and silent auction also featured an informative Adaptive Riding Demo. Those who attended last year’s BBQ were shown how the movement of the horse is used as a tool in Equine Assisted Therapy. This year they witnessed Adaptive Riding participant, Silvia and her mount, Dorito show how far she’s come in spite her challenges. New this year and adding impact to the overall mood was the NASH FM music booth with lots of giveaways. Claremont Distillery hosted a moon shine tasting, and Melick’s Town Farm supplied samples of their hard cider. Once again, the food didn’t disappoint! Southern Man BBQ was totally ‘on point’, a Hot Dog Bar made for a tasty side trip down the buffet, and the absolutely delish cream puffs and brownies disappeared in moments. The generous partiers went home with tons of great silent auction items including tickets to a Yankees game, the US Women's Open at Trump National Golf Club, a sterling silver & white sapphire horseshoe necklace, a Ninety Acres cooking school session, a County Innovation Saddle, and many more items, helping to make this event a success. Laura Shimkus was the stunned winner of the 50/50 Raffle, after many years of attending almost every Mane Stream Tack Sale. The “Wish Line” items were also well received, making funds available for several one-week sessions of summer camp for children of service members, a three-day Adaptive Riding Course to become a PATH Certified Instructor, equipment and supplements for the horses and therapy clients, as well as a large tent and lots of supplies for the FULLY packed 8 weeks of summer camp. 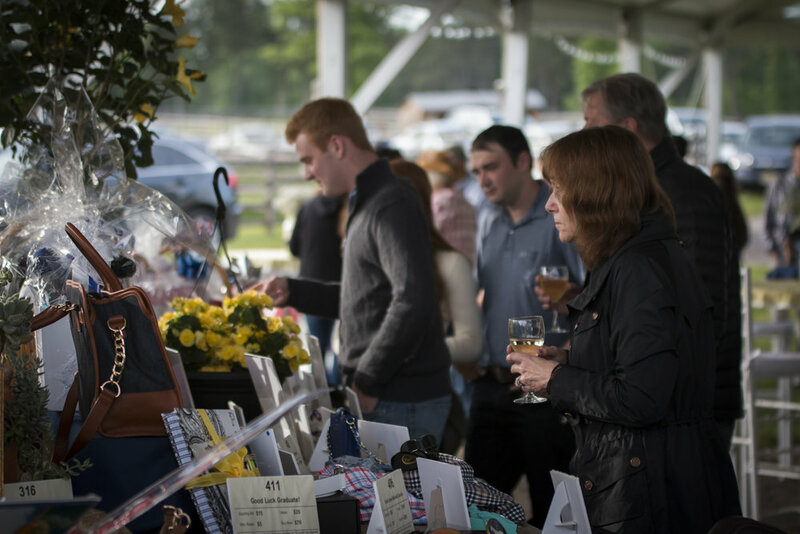 Many generous donations were also given to directly fund some of our many programs at Mane Stream including “Take the Reins” for our veterans and “Horses for Healing” for those impacted by cancer. This casual event was truly a blast! Thank you to everyone who came to Boot Scootin' BBQ in support of Mane Stream's mission and let’s not forget the team of Mane Stream volunteers who worked all night long clearing tables and putting out desserts, among other tasks. Thank you: Clayton Bernardi, Grace Cirignano, Erin Cisek, Michelle Geise, Samantha Gonzalez, Cate Hegeman, Thomas Hegeman, Mark Timcenko and Emma Garguilo.